Mosaic Telecom offers Internet service to approximately 121,905 people in 11 cities over 1 states. 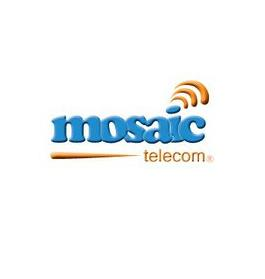 Mosaic Telecom is available in 1 state. Moultrie MultiCorp provides DSL services. Morris Broadband(888) 855-9036Morris Broadband offers fiber optic internet service with speeds upwards of 100Mbps for reasonable pricing. Morris Broadband provides Fiber and Cable services.